Urvashi was born on 18th September 1968 in Trivandrum, Kerala. She made her acting debut as a child artist when she was just 10 years old through Malayalam movie Kathirmandapam in 1979. 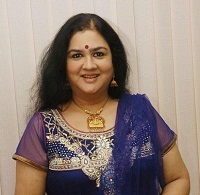 After few years as a child artist she made her debut in lead role with Tamil film Munthanai Mudichchu in 1983. Since then she appeared in more than 300 films including Malayalam, Tamil, Telugu, Kannada and Hindi films. Recently she has been busy with her TV career and hosted several shows like Thanga Vettai aired on Sun TV, Rani Maharani, SwarnaMazha, Champions aired on Surya TV Channel, Bhagyalakshmi aired on Kairali TV, Krazy Couple aired on Zee Kannada Channel , etc. During her decades long career she worked alongside south Indian stars like Dr.Rajkumar, Dr.Ambarish, Dr.Vishnuvardhan, Ravichandran, Ramesh Aravind, Kamal Haasan, Mohanlal, Mammootty, Suresh Gopi, Jagathy Sreekumar, Napoleon, Jayaram, Kunchacko Boban, Mukesh etc. 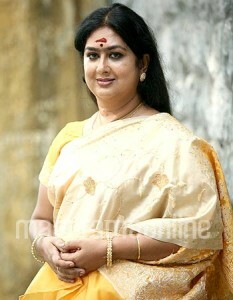 She was born to actor Chavara V. P. Nair and Vijayalakshmi. She had two brothers named Late Kamal Roy and Late Prince who died at the very young age of 17 and 27. They also acted in few Malayalam movies. She has two elder sisters Kalaranjini and Kalpana, who are also actresses. 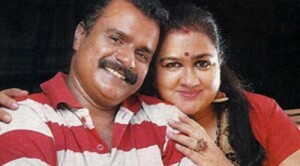 She married Malayalam actor Manoj K. Jayan on 11 October 2000. Due to irreconcilable differences the couple got divorce in 2008. 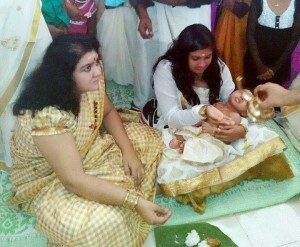 The couple gave birth to a daughter named Kunjatta in 2001 who is living with Manoj K. Jayan. He is married to Shivaprasad,an engineer since 22nd November 2013. The couple gave birth to a boy baby on 8 August 2014.